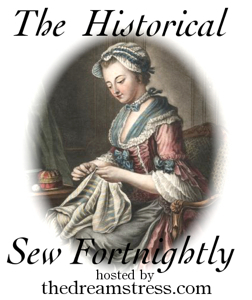 I’ve just posted about all these fabolous books and patterns I’ve bought this spring/summer. And as my friend, whos working in a fabric store, asked after my umpteenth visit to the shop; How do you afford it? There are acctually sveral reasons I can spend the amout of time and money on this hobbie as I do (even though I try to reduce the costs as much as possible). The biggest reason being – I don’t make that much money, but I don’t have lots of expences either (no kids, animals, house, car ect. ), so the only thing I spend it on (after rent, food, savings ect.) is fabrics and costuming pieces. But me recent spending spree, comes from another sorce. I’ve been selling of some of the clothes I’ve made trough the years. And since the money earned came from sewed things, it is olny fair that I could spend them on more costume related stuff… Right. Here is what I auctioned out so far. A jacket in 1950s style, made in some wool/syntetic blend. I really liked it, but somehow never wore it so better to get some space in the wardrobe. 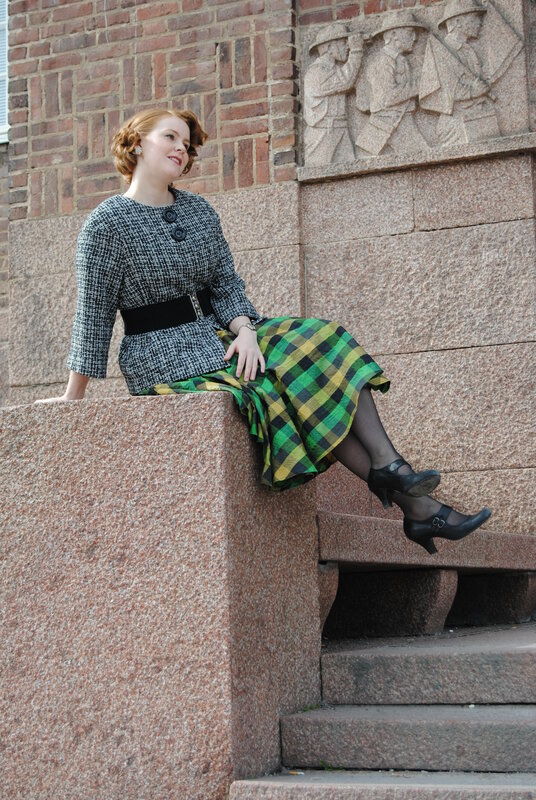 A 1950s dress, made from a self drafted pattern in a green/black polyester fabric I bought on sale. The skirt is a “double cirkle” and contains about 5 m of fabric. I adored this dress, and was a bit sad to let it go. But I know it will have a loving home with a girl who’s going to use it for swingdancing. Another 1950s dress, made from the same pattern and fabric (only in another colour) and with a sligh variation on the waist and neck treatment. A purple dress and bolero, I made about 5 years ago. The patterns are self drafted and the outfit are made in a purple dotted polyester fabric. The girl who bought it also took the shoes :-). Another purple dress from a few years past. 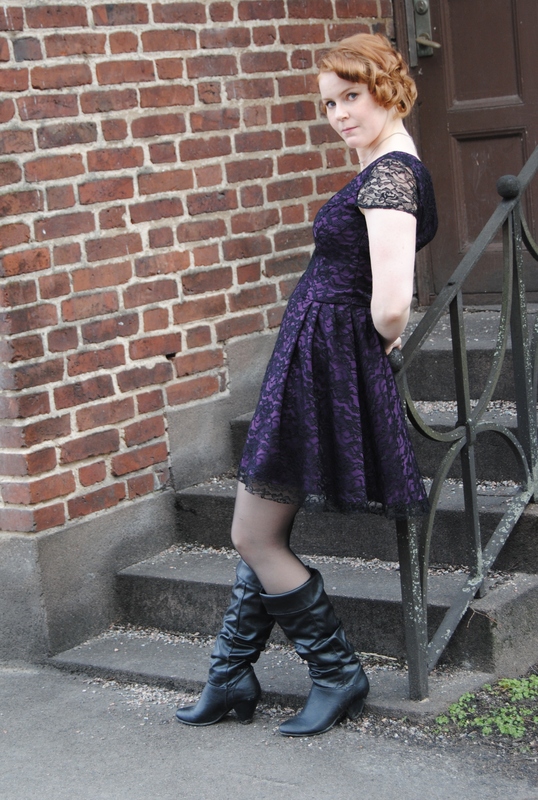 The dress are made in purple polyester satin and black lace, from a pattern I downloaded for free from the internet. I never liked this dress. I had to much trouble making it, and there are way to many flawed parts, for me to get over. For someone without my exreamly critical eye, it’s probably perfectly fine. A green yearsey dress made from another free download pattern. I made this dress to wear to a party, but hated the way I looked in it, so I never used it (I wore the green/black 1950s dress on top instead). 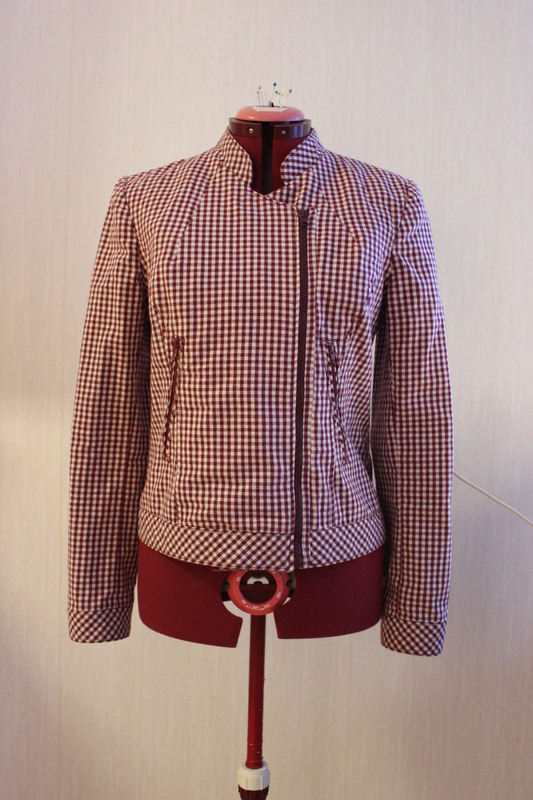 A seersucker jacket made from a comercial pattern. I worn this maybe one time and didn’t like the way it fit, so this also had to go. And here are some things that I will putt up for sale during this weekend. If you se something you like don’t hesitate to take a closer look at: http://www.Tradera.se search for: asa86. A halter top dress I made as part of my graduation collection at fashion school. I do think it is lovely, but the plunging clevage and halter top neckline are not something I can pull of. I think it is time for it to get a more loving home. 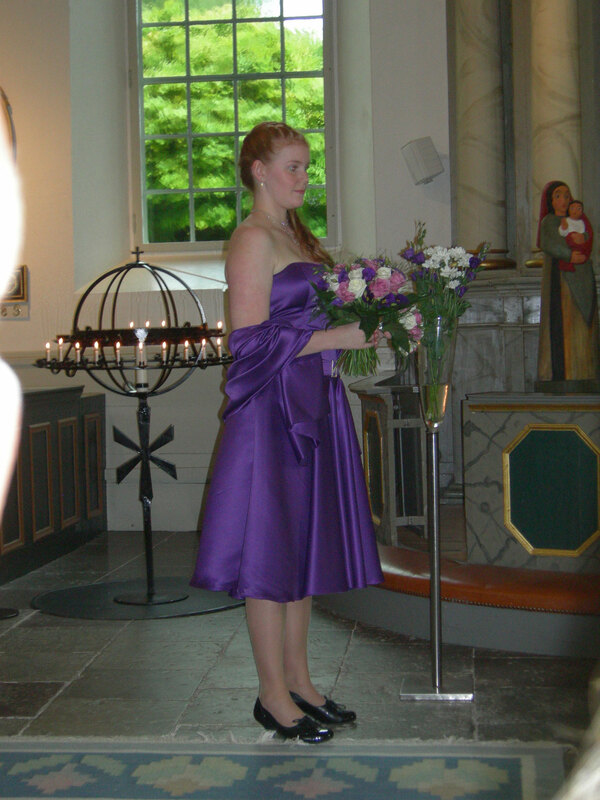 The bridesmade dress I wore to my sisters wedding about 5 years ago. The pattern are my own and the dress are made in purple polyester satin. I only worn it this once, and it looked great, but I’m over it. A yersey tunic/dress made as yet another school project. The pattern are my own and it is made in a soft drapery grey yearsey. I think it is pretty cool. The hood can be used as collar or hood, and the back of the dress had lots of volume pleated into “wattaue-pleats”. And it is comfy to. 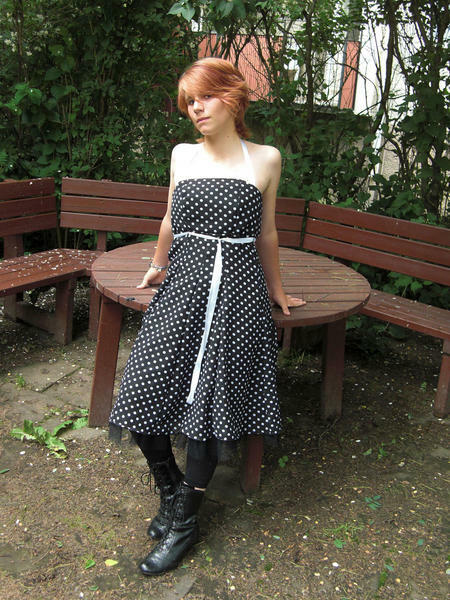 A black/white chiffong dress I made for my sister a couple of years ago. Another “worn once” dress from a free download pattern (I think I begining to see a pattern). The dress is made in green and white sturdy cotton (twill?) and zips up the side. I never liked the sleeves on this one, and thougt it made my arms and shoulders look huge. On a person with slimer shoulders it should look great. This is acctually a dress I didn’t make. It is from the clothing company “Vila” and are made in a really soft and lovely printed chiffong. 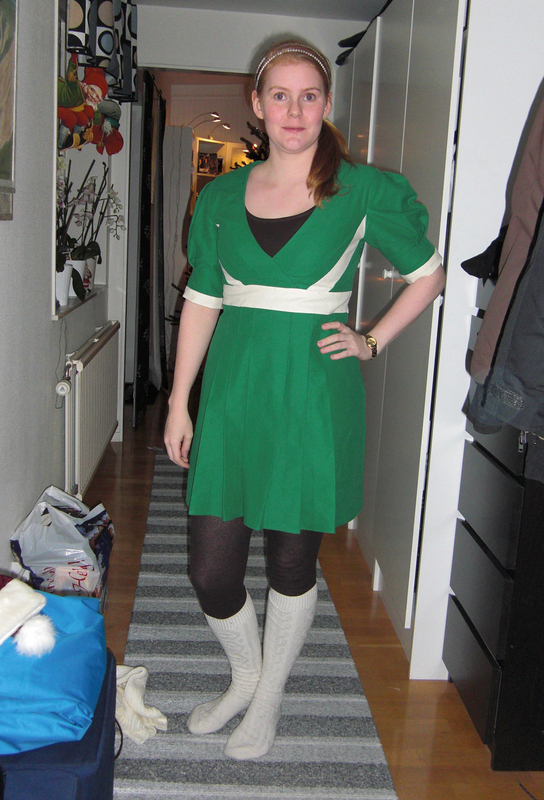 A green chiffong dress from about 6 years ago, made from a comercial pattern. 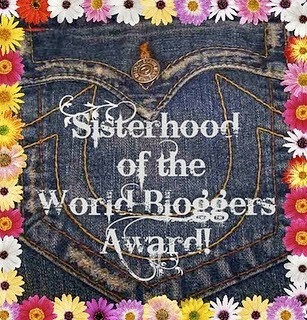 I never wore it since the gathering at the bust and the shape of the neckline and bust made me feel huge and way to top heavy. Another bough piece. 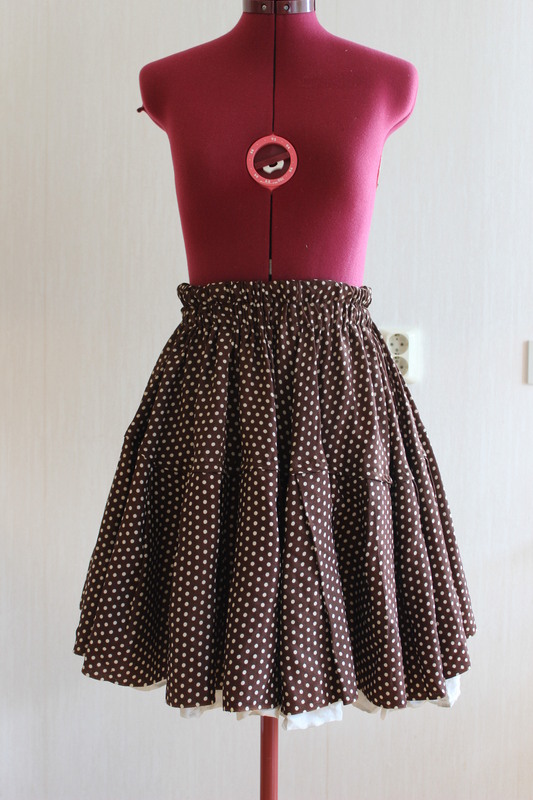 A circular skirt with lots of widths at the hem. I bought it at ” Urban Outfiters” and wore it once. I think it was the elastics at the waist that made me not like it, but looking at it now it do looks pretty cute. 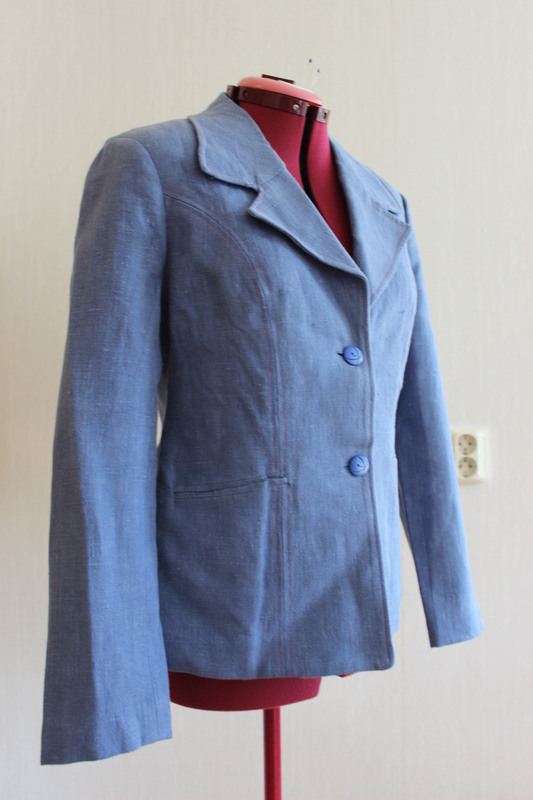 And lastly, a light blue linnen jacket I made in fashion school. You know how it is with these “school projects”, the huge amount of effort and time you put into them, just to realise you hate the damnd thing by the end of it. There are absolutly nothing wrong with it, only I would never wear it. I will also get rid of some bags, shoes and other smaler stuff. Those 1950s clothes are to die for!! I love them. I’m a big fan of jackets and love wearing dresses, plus the fashion of that decade has always drawn me in. Thanks, I liked them to but I think it is better they get some proper love and outings then just taking space in my storage. I’ve been getting rid of old clothes too, so I get where you’re coming from. I’m trying to learn to make clothes, so maybe in the future I can make something similar. 🙂 Could you tell me where you got the pattern? Thank in advance! Which pattern do you meen? Most of them are of my own making and the rest I found for free on the internet, or in pattern magasines like “Burda” or “Vouge”. I was wondering if you had a pattern of the 1950s jacket, which is to die for! The pattern for the dresses was basicly just regular bodices with short kimono sleeves, bust/waist-darts and big cirkle skirts. I’m sure there are lots of simular dress patterns out there.